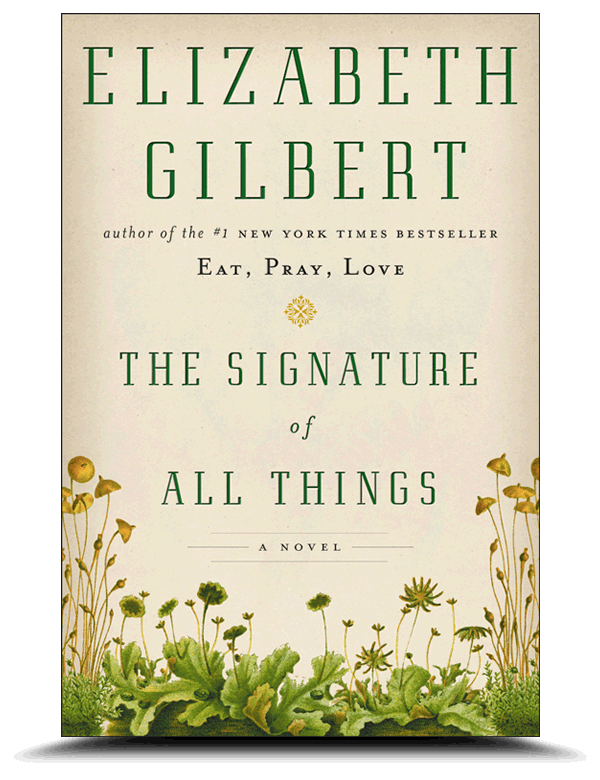 The Signature of All Things is a new fictional novel by Elizabeth Gilbert author of Eat, Pray, Love fame. This is a long book – 499 pages. While I found merit in the story, I did not enjoy some aspects of it and thought it was too long. This is a story about a young woman named Alma who resides in Pennsylvania during the 19th century. Her parents are wealthy and Alma, an only child is blessed with a wide array of knowledge which molds her into a woman of science whose main interest is studying moss. Late in life, she takes a trip to Tahiti in order to still questions which plague her about her late husband who resided there. There is much to learn from this novel about evolution and botany. The characters contained in the story are interesting and the setting beautifully descriptive. I was disappointed that the author chose to spend a great deal of time in the book vividly describing the sexual appetites and practices of the main character. Personally, I didn’t find this aspect to lend much of anything to the story. In fact, it made me want to stop reading the book altogether. I thought, “Ok, we get it! Enough already!” Perhaps other readers may not be put off by this, but I was. Because the book was so long and heavy, I also wished it had been published in two volumes. My arms ached just holding it! At times, it was too wordy and lost my interest. All in all, the story was fairly interesting and well researched. I respect the amount of work that went into the writing of it. If you have read it, please share your impressions! This entry was posted in Uncategorized and tagged Amsterdam, Books, botany, Eat Pray Love, Elizabeth Gilbert, Moss, Tahiti, The Signature of All Things. Bookmark the permalink. Wow, maybe it’s just me and the warped childhood that I had, but I am totally enjoying the book and the feelings I get from it. Not dissing you at all, we all have our opinions. I had to leave a restaurant that I was at last night because I was crying for Alma. That’s how much it touched me. But I’m dysfunctional like that. Ha!! I welcome your opinion of this book. There were parts I enjoyed as well. The history of it and botanical information was enlightening! Thank you for sharing your views! All are welcome and appreciated. I’m glad I read your review. I quite enjoyed E,P,L, but was glad when I staggered to the end. What is it with these long-distance novels? are the authors being paid per 100 words or something? or by weight? Too much for both eyes and arms! Brief & crisp has merits! I agree with part of the review. I, who does enjoy botany and science yet felt it was a heavy read. Every sentence was laced with three vocabulary words and the sexuality of the book introduced made what Gilbert put into her novel, kinda of obtuse. This is where I agree with the initial reviewer. This definitely for someone who has a college degree or the happy-go-lucky that can skim the words and science information. It could go either way. I was glad when it was over and yet I can say I enjoyed it. This is also for someone who has a day set aside to dedicate all the details within this novel. Reminded me of Kingsolver’s “The Poisonwood Bible” and Sidney Sheldon’s” Master of the Game”, with how Alma’s father acquired his fortune. Thanks for your comments! It was heavy reading in more ways than lbs.! The book does have redeeming qualities.